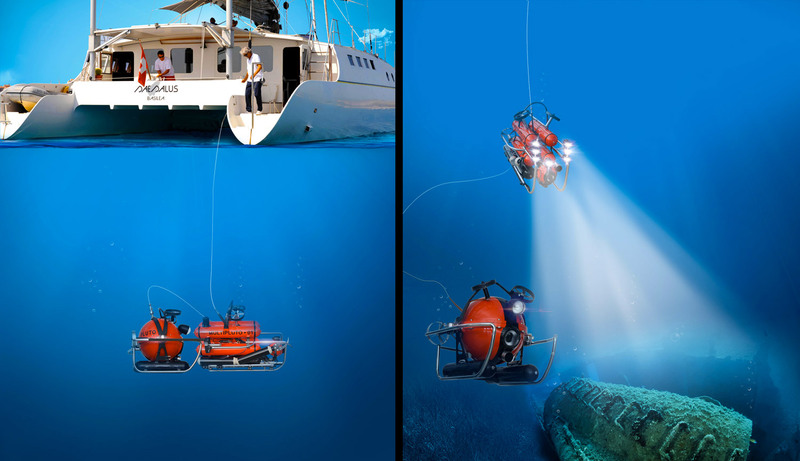 PLUTO GABBIA is a benchmark in underwater observation systems, being the first market available underwater tool which allows twin ROV operation through a single umbilical cable. 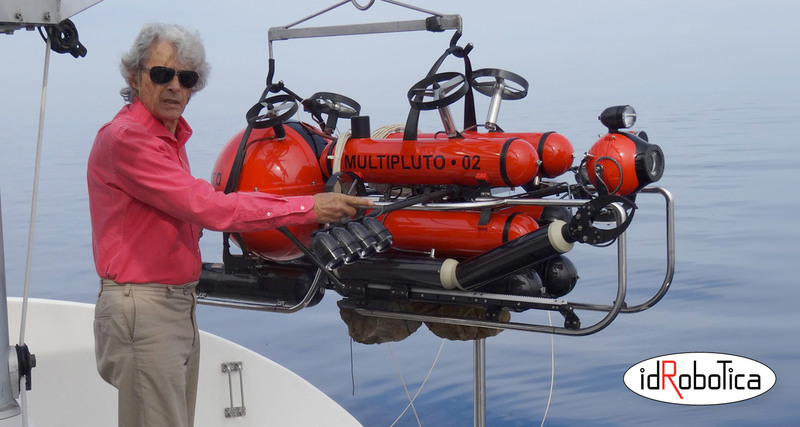 The PLUTO GABBIA is by fact a buddy vehicle combining the performance and reliability advantages of the MULTIPLUTO and PLUTO PALLA, rendering it ideal for deep underwater filmography, scientific exploration or intense underwater inspections. 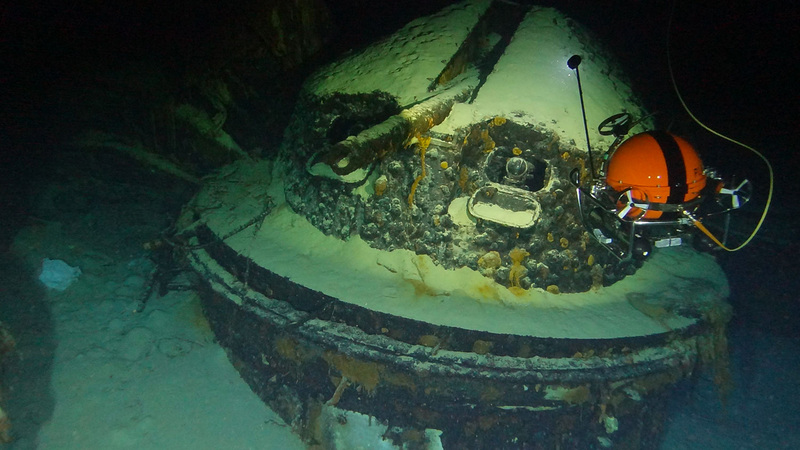 PLUTOGABBIA was born to specific requirements derived from the need of being able to constantly monitor and broadcast the operation of the PLUTO PALLA during its inspection of the Corazzata Roma, a WWII wreck located at a depth of 1300 meters in the northern Tyrrhenian sea. 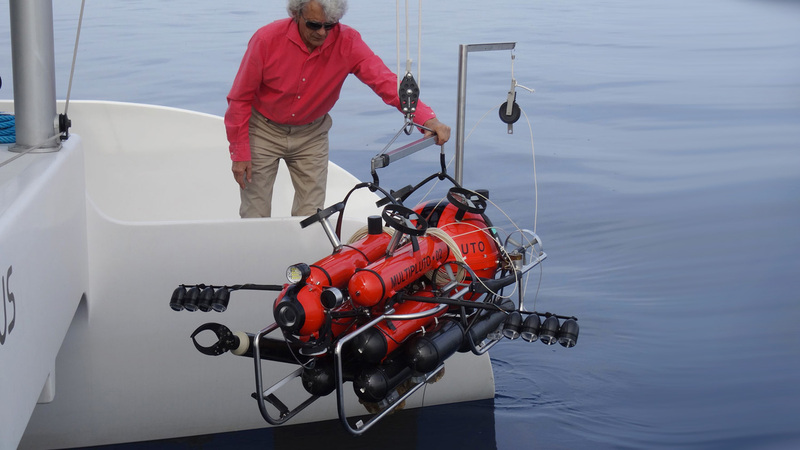 Nowadays the vast majority of ROVs are equipped with a TMS Tether Management System typically in the shape of a cage (gabbia) which heavily ballasted is able to hang, without possibility of movement, vertically to the ship’s hull. 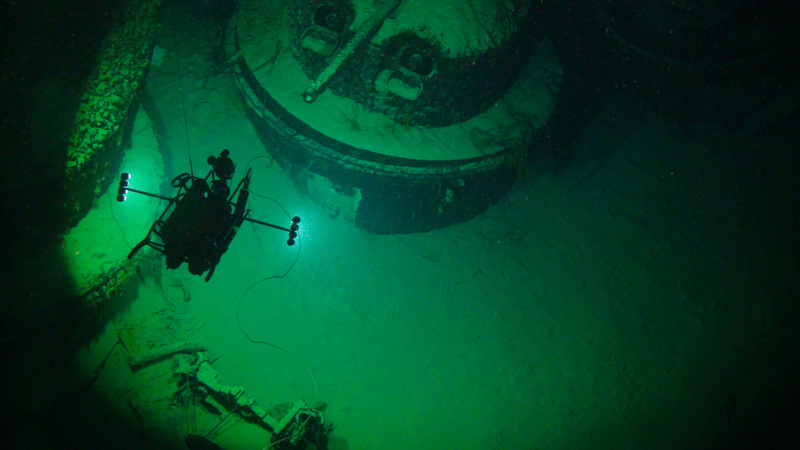 PLUTO GABBIA extend this concept way beyond the simple TMS cage function as once operational depth is reached the two vehicles are disconnected from each other and acquire full ROV operational capabilities. The single umbilical cable linking the PLUTO GABBIA to the ship is primarily connected to the MULTIPLUTO extending forward to the PLUTO PALLA, thus giving complete independent control of the two vehicles. As for all Idrobotica systems also the PLUTOGABBIA does not require complicated and expensive fixed on board installations, all is need on the surface are one console for each of the two vehicles, only one automatic winch which manages the single 3.5 mm fiber optic umbilical cable thus allowing unbelievable operational flexibility.